My strong advice is: always open the Resource pool file! 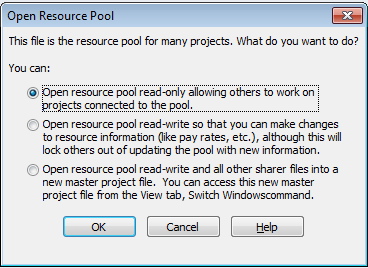 Notice that Resource pool is opened in Read-Only mode, so you can not change anything in this file. It is much better now, isn’t it? Now, suppose that I want to change pay rate for one of my resources. And I want to make this change visible to my sharer Projects. If I choose OK, I will save those changes to the Sharer file, and it will save the Resource pool as well! As you can see, Mary is no longer over allocated! This entry was posted in MICROSOFT PROJECT, Microsoft PRoject 2010, MS PROJECT 2010, PMI, PRoject Management and tagged Microsoft Project 2010, Microsoft Project 2010 - RESOURCES, MS PROJECT, MS PROJECT - Resources, PMI, Project Management - RESOURCES. Bookmark the permalink. Your Blog on Ms Project Tool is very Good. The examples Quoted and screenshot shared is very simple to understand. Thanks a lot for all your post. First of all – thanks for a great intro to resource sharing. Just what I need, and will be implemented fast! 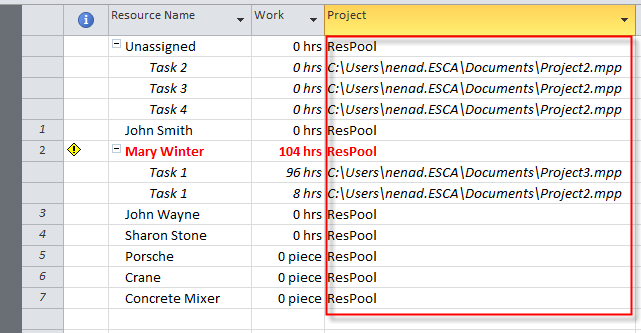 When looking at the Resouce Pool View – if a resource is used multiple times within the same project, this project will be listed several times. Is it possible to list only the name of the projects to which the resource is allocated? E.g. 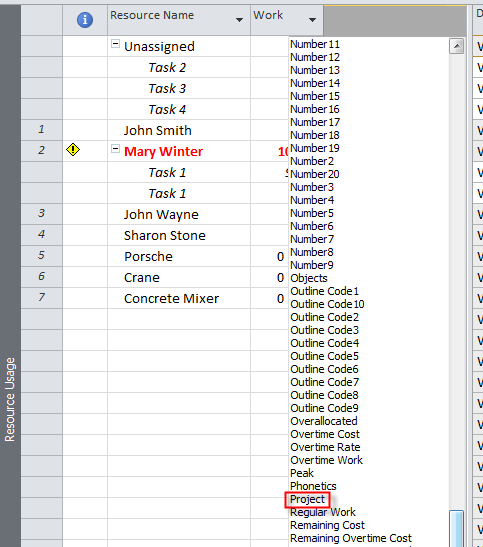 if Mary Winter in your example was allocated to four different activities in project1 and two activities in project2, in the resource pool view, there would be 6 lines of activities in total under Mary’s name. I only need the two lines showing me the name of the projects she’s allocated to. I really do not know. I’ll try it and I will let you know! 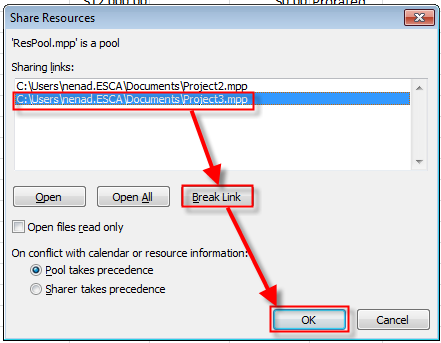 Import your Projects as Subprojects and then look at the Resource sheet!